Boston/Medford, Massachusetts, June 8, 2015 – From the Euromaidan protests in Ukraine and anti-war mobilizing in Russia, to Hong Kong’s Umbrella Movement for political and electoral rights, numerous civil resistance campaigns and movements have recently captured the global public’s attention. However, other impressive efforts by ordinary people nonviolently struggling for rights and freedom around the world have received less international recognition. 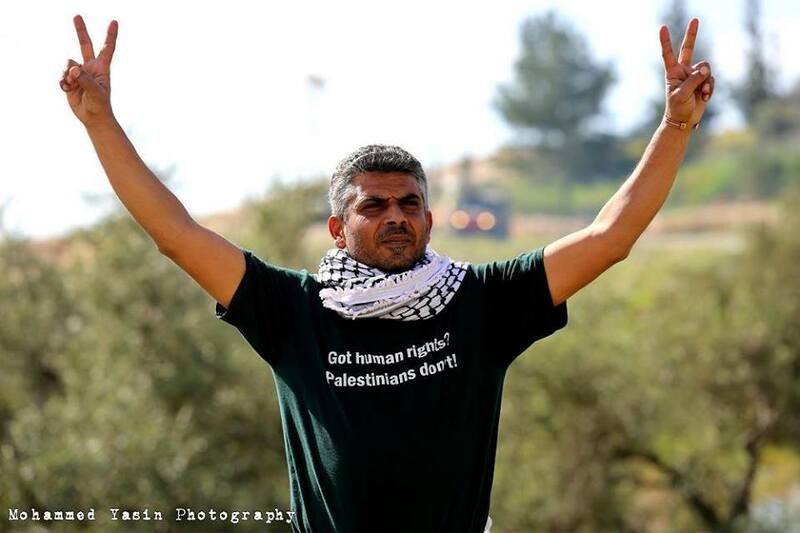 Many people do not know that there is a vibrant nonviolent movement in Palestine, and on Wednesday, June 10th, one of its leaders will be honored for organizing people and courageously engaging in civil resistance in the village of Bil’in for over a decade, and educating people around the world about nonviolent struggle. The award ceremony will be held before participants in the 10th annual Fletcher Summer Institute for the Advanced Study of Nonviolent Conflict, a collaboration of The International Center on Nonviolent Conflict (a Washington, DC-based educational foundation) and The Fletcher School of Law & Diplomacy at Tufts University. Since 2006, the Fletcher Summer Institute has gathered a diverse group of activists, journalists, scholars, and other professionals for the only advanced, executive program in the study of nonviolent conflict, giving change-makers the opportunity to share their experiences and learn from leading scholars and practitioners of nonviolent conflict.